The castle was first mentioned in the year 1274 with the German name Luegg, when the Patriarch of Aquileia built the castle in Gothic style. The castle was built under a natural rocky arch high in the stone wall to make access to it difficult. 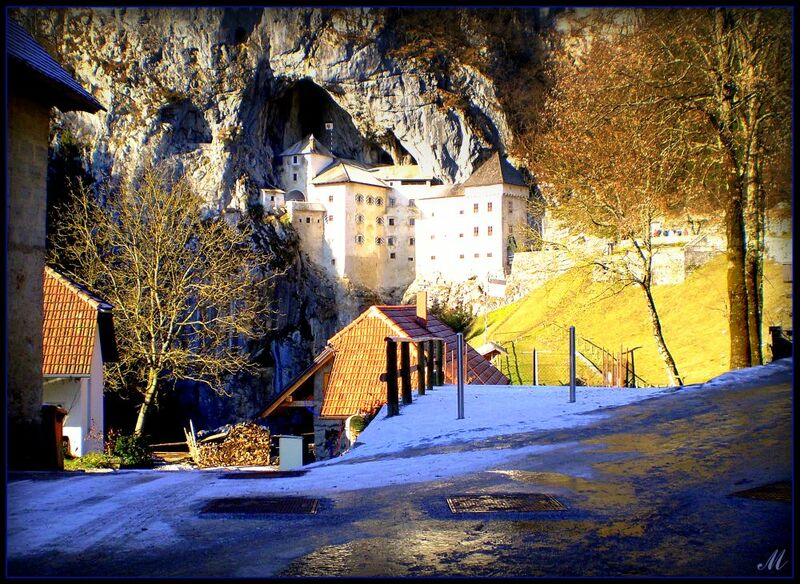 It was later acquired and expanded by the Luegg noble family, also known as the Knights of Adelsberg (the German name of Postojna). To much yellow, mybe contrast overdone. Beautiful colors and scene captured!!! !